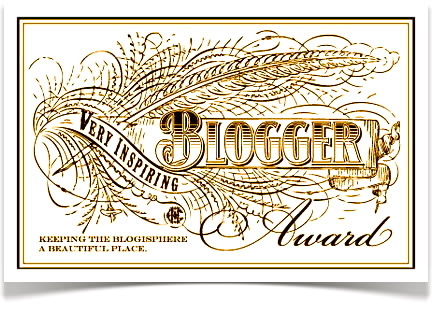 I am delighted to have been nominated for the Blog of the Year 2012 Award 🙂 even though I’ve been a bit tardy and it’s now 2013 – oops! by Fae at Fae’s twist and tango , Fae is “a citizen of the world” and her blog is filled with interesting international recipes and stories – don’t miss it! She has very kindly nominated me for 1, 2 and 3 stars!! by Mimi at chef mimi blog, Mimi has experience as a personal chef and as a food writer and her blog is stuffed with mouth-watering photos and recipes that make you just want to run to the kitchen – another one to add to your favourites! The ever wonderful Fae from Fae’s twist and Tango, and Francesca from Flora’s Table where all things Italian are beautifully presented and described have nominated me for this award! These 2 blogs are very worthy of this blog and it’s lovely to be considered by both of them. There is a blog overflowing with beautiful photos, mouth-watering recipes and cake decorations and this wonderful blog is Loving home made! Loving home made has nominated Lovely Buns for the Liebster award! It’s been snowing awards lately and I’d like to thank both Fae’s twist and tango and A taste of Wintergreen for nominating me for the Reality Award! Fae’s twist and tango is a brilliant blog detailing her travels and favourite recipes – it’s a joy to read and she seems to have more than 24 hours in a day! A taste of Wintergreen is another of my favourite blogs where Lindy, a published author, writes about her delicious recipes with gorgeous photos, I’m always popping over to see what’s on the menu! Hey, At the end of November Maria-Teresa from the really lovely blog Sugar and Spice Baking for nominated me for the Very Inspiring Blogger Award! As always Sugar and Spice is full of great recipes – British and Swedish, sweet and savoury. It’s also dotted with funny cartoons 🙂 All in all, a great blog to have in your favourites! Pay credit to the one who nominated you. Place a link to the one who nominated you on your award page. 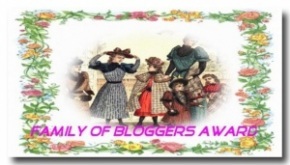 Nominate at least 4 other people to be in your family of bloggers and notify them of their nomination. I hope you find time to visit them and that you like them as much as me! Hey, it’s lovely to log in to WordPress to discover an award! Recently Cathie from the wonderful blog Help with your life nominated me for this Liebster award 🙂 Cathie is a published author, so knows what she is talking about and she is committed to helping people help themselves – her blog is a joy to read and full of wise words. And today Maria-Teresa from one of my favourite blogs, Sugar and Spice Baking nominated me again! Quel bonheur! I love the funny sketches Maria-Teresa finds and inserts into her posts and also her delicious recipes.